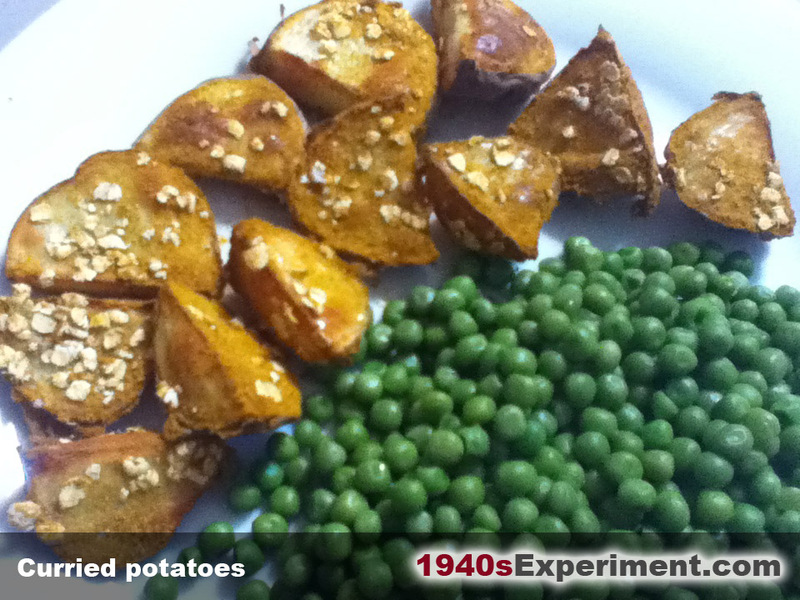 This entry was posted in Uncategorized and tagged curried potatoes, wartime recipes. Bookmark the permalink. You can’t go wrong with potatoes, curry and peas! Preferably twice. Just had these tue night for dinner with peas and tuna….amazingly good, really enjoyed the potatoes. Though I don’t like chasing peas around a plate so I crushed them lightly with a potato masher, much easier to handle!